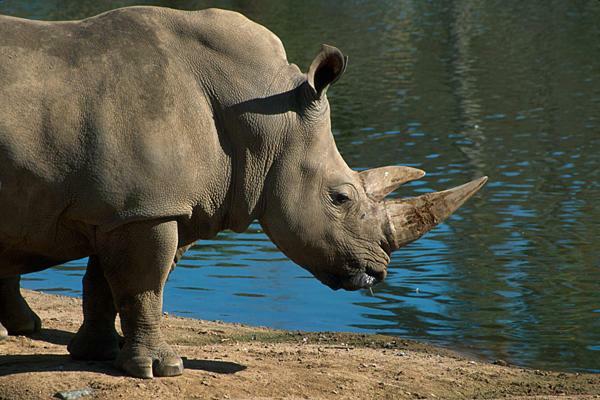 In 2010, this rhino escaped for five hours from its cage at the Jacksonville Zoo and Gardens. "We're not going to put primates out there, and we're not going to put cats out there," said Larry Killmar, who is both president of the association and vice president of the Lowry Park Zoo. "We know those are hot-button species. But we could put antelopes, rhinos, giraffes out there — even elephants, if necessary." Former Southwest Florida Water Management District director E.W. "Sonny" Vergara has another name for it: "truly boneheaded." The concern is that these species could introduce non-native parasites and diseases and even cause the collapse of gopher tortoise burrows. Supporters say they'd track the animals electronically. Then it turned out the CEO, Lex Salisbury, had transferred more than 200 of the zoo's animals to a private wildlife farm he owned in Polk County. A loss of accreditation ensued for the zoo and for Killmar, who had approved some of the transfers. Ultimately both were reinstated after Salisbury's forced resignation.